Washington has 2.7 million acres of forests susceptible to wildfires. A 20-year plan to restore health to 1.25 million of those acres isn't getting the money it needs, according to the Department of Natural Resources. Even as the state battles wildfires that have smothered Puget Sound in smoke for the last two summers, Washington lawmakers have underfunded efforts to control the burning. Since 2015, the legislature has given the Department of Natural Resources (DNR) and the Department of Fish and Wildlife (WDFW) — the main state agencies tasked with preventing and combating wildfires — just $18 million out of the $40 million they requested for their operating budget, according to a tally obtained by The Seattle Times from state’s Office of Financial Management. The allocations even fell short of Gov. Jay Inslee’s request for $27 million. Out of the $25 million DNR and WDFW asked for in their supplemental budget from 2017 to 2019 to start implementing a 20-year plan to thin the state’s forests, lawmakers granted $18 million. Washington is on pace to post one of its driest summers on record, having received just an inch of rain since the start of May. 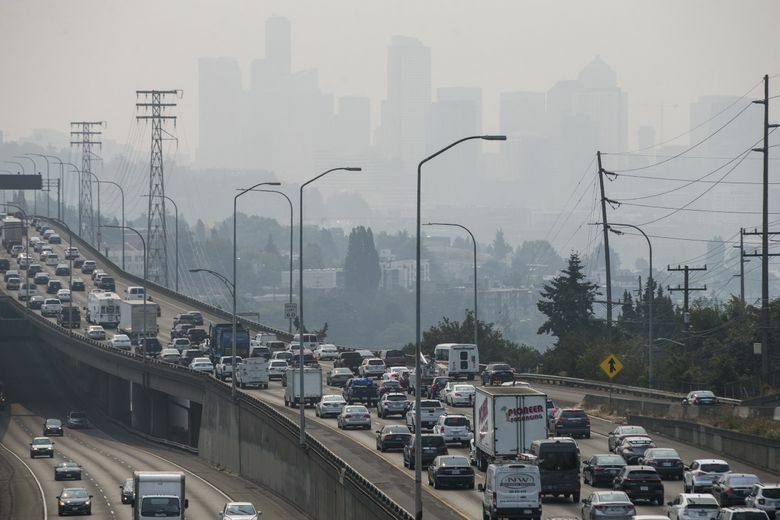 As scientists predict more severe fire seasons ahead, wood smoke isn’t only becoming an unpleasant sight for Seattle’s normally picturesque skyline, it’s increasingly becoming a threat to public health. 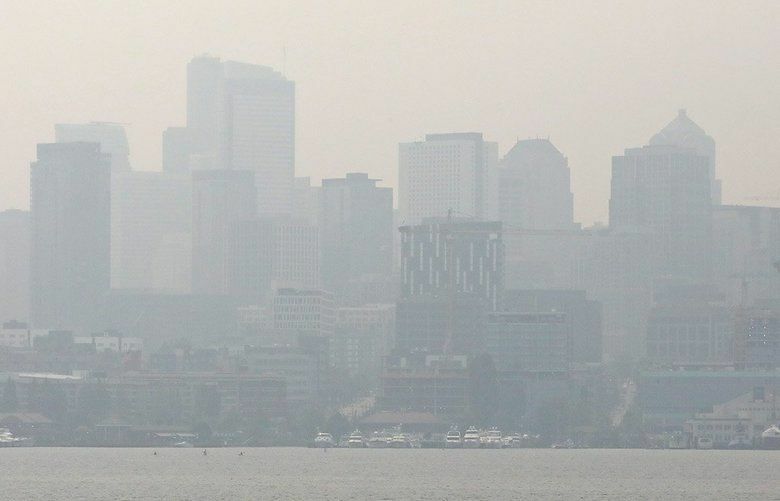 The pollution on some days in August — drifting into Western Washington from fires in the eastern part of the state, as well as Canadian British Columbia to the north and Oregon and California to the south — made air in the Puget Sound area among the unhealthiest to breathe in the world. Despite the shortfall, state lawmakers have significantly boosted spending to combat wildfires, according to Sen. Brad Hawkins, R-East Wenatchee. The current allocation compares with just $2 million set aside from 2011 to 2013, $4 million in the following two years, and $10 million for the two years that ended in 2017, he said. “The legislature is recognizing that it needs to be more proactive and ramp up funding to address forest health,” Hawkins said in a phone interview. While “harvesting and thinning forests in a responsible way” reduces the risk of fires spreading, long-term investment in firefighting is also important, he added. “Right now, we’re doing both and it’s really costly,” Hawkins said. Lawmakers haven’t fully funded DNR efforts to take control of the fires, but it’s not uncommon for state agencies to not have their requests fully met, he said. Carlo Davis, a spokesman for DNR, said his agency will be seeking additional firefighting resources and increased funding to thin overcrowded forests. About 2.7 million acres of Washington forestland are unhealthy due to the overcrowding that causes trees to be weak and lose their natural wildfire resistance, he said in an emailed response to questions. The 20-year plan — the one that’s being underfunded — calls for the restoration of forest health of 1.25 million acres, according to Davis. It targets drier forests in eastern Washington, where decades of fire suppression efforts allowed a build-up of densely-packed trees primed to burn more intensely than in centuries past. The treatment often involves chain-saw thinning and then controlled burns during cooler weather.